The Japanese government officially asked the United States to assist with the country’s growing nuclear reactor emergency. 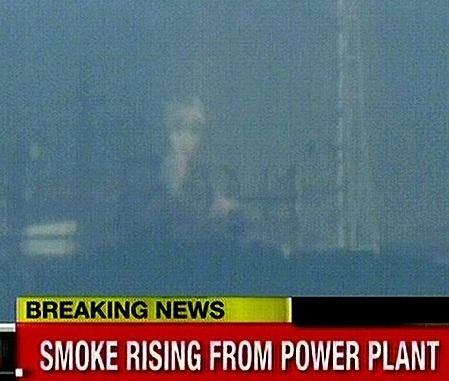 Earlier today the nuclear reactor crisis grew large as there was another explosion at the no. 3 reactor at the Fukushima Daiichi power plant in northern Japan. This new explosion is another in a line of blasts that have Japanese nuclear officials fearing the worst. In order to help prevent a nuclear meltdown at the plant, the Japanese government filed a formal request with the United State’s Nuclear Regulatory Commission to help stabilize the nuclear reactors. It appeared that emergency crews were starting to get a handle on the situation Sunday, but trouble with the water pumps that are supplying the seawater to submerge the fuel rods caused the water levels to dip and the reactors to heat up. While Japanese officials claim that the situation is under control, they continue to warn citizens that the situation could change at any moment, and that the worst is not behind us yet. Summoning the U.S. Nuclear Regulatory Commission for assistance was a necessary step as a disaster of this magnitude has never been seen. The way that the nuclear reactors are failing is not something any country has had to deal with. The Japanese government is hoping that the two countries can devise a plan to help prevent the world’s worst nuclear meltdown since Chernobyl. Japan should ask help immediately from overall the world to seek effective approaches to prevent nuclear meltdown.